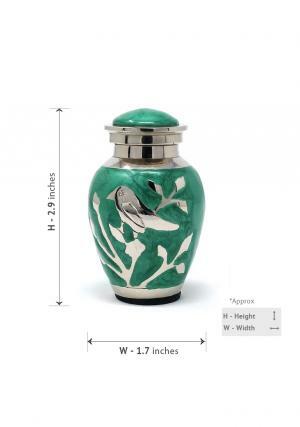 Blessing silver birds small keepsake urn, made with solid & quality brass. 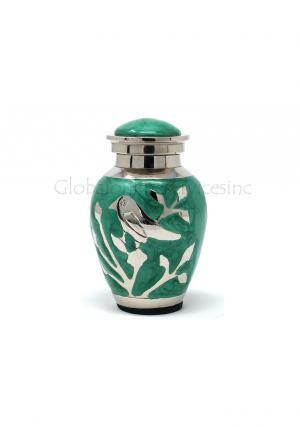 Beautiful silver engraved bird keepsake urn enameled in Green is an hand engraved with smooth and polished finish from skilled professionals. 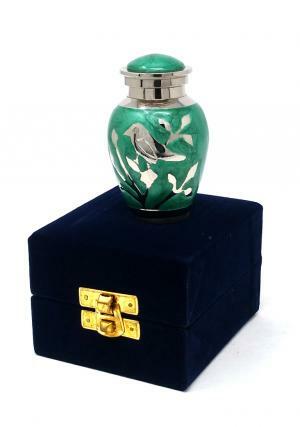 The keepsake memorial urn is used to store the cremated ashes of your loved one and can be used as home decor. You can keep this personalized urn in velvet box secretly. 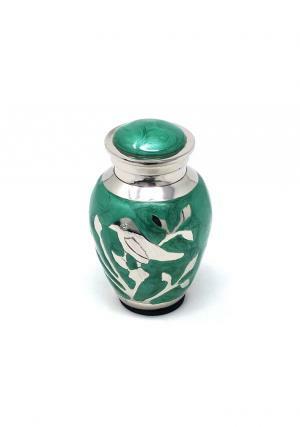 Keepsake cremation urn has finished with hand-engraved bird scene in silver which looks very gorgeous. 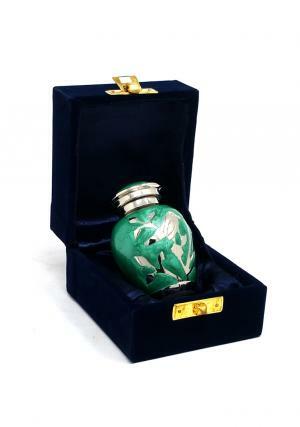 We don't make any shipping charges on keepsake urns. 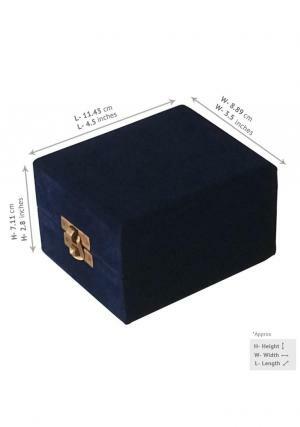 Free Velvet box Handmade items are rarely less accurate with color span and edges. Handmade items are unique, artistic and available in exclusive designs.